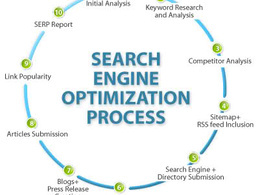 I have 3-4 years experience in SEO, SMO, and PPC Services on multiple functionality as On/Off Page Optimization, Completely Link building, SMO Services, PPC Campaign Management,...Read moreI have 3-4 years experience in SEO, SMO, and PPC Services on multiple functionality as On/Off Page Optimization, Completely Link building, SMO Services, PPC Campaign Management, and Google Services like Ad-Words, Analytics, etc,. Summary: My Self Nirav Langhanoja. I am Google Specialist and SEO Expert. Also, I have 3-4 years experience of Complete Internet Marketing and SEO Expert on multiple functionality as On Page Optimization and Off Page Optimization. I like to explore new technologies and work on complex tasks. Description: I am working On Page Optimization and Off Page Optimization. Also, I have all types work of SEO Services related. Company: Elsner Technology Pvt. Ltd. 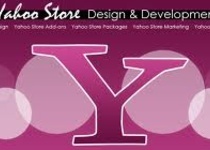 Description: I am working as a SEO Link Builder. Like as Off Page Optimization services, Social Bookmarking, Directory Submission, Forum & Blog commenting, Article Posting and Submission, Blog Creation, etc,. Summary: Masters in Computer Science with experience of 3 years in SEO, SMO, and PPC. Nirav achieved the results I asked for and fast. He then took the time to explain his work so I could get the maximum benefit.